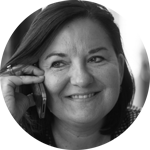 Marketing is no longer about telling the world how great your products and services are. Marketing is not what you think it is. It is more counter-intuitive than you think. “People don’t want to buy a quarter-inch drill. They want a quarter-inch hole.” said the legendarey Harvard marketing professor Theodore Levitt. And actually, we do not even want that hole either ! What we really want is: to hang shelves or frames, and make our home the nicest place on earth. The hole is just a little step in between the product and the experience. Your product or service can be complex or hard to build. That’s why you have a complex story to start with. But what people buy from you must make their lives easier. That’s why you need to listen carefully and simplify your story. 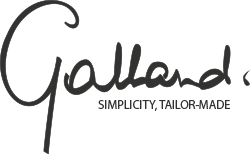 At Galland.be, we offer a simplification trail to transform your company into a future-proof organisation that is loved by its customers. How to transform in 3 simple steps? Your secret plan to conquer the world. The essence of what you want to be and are going to say. A clear plan in which choices are being made. You cannot be everything to everyone. You make choices you stick to in a consistent way. Your tailor-made plan, translating the chosen strategy into a concrete action plan. It explains all the different steps to be taken to meet the goals that have been set. Is it really that simple? Yes! Contact us for a first informal chat. Or just ask for a simple proposal.